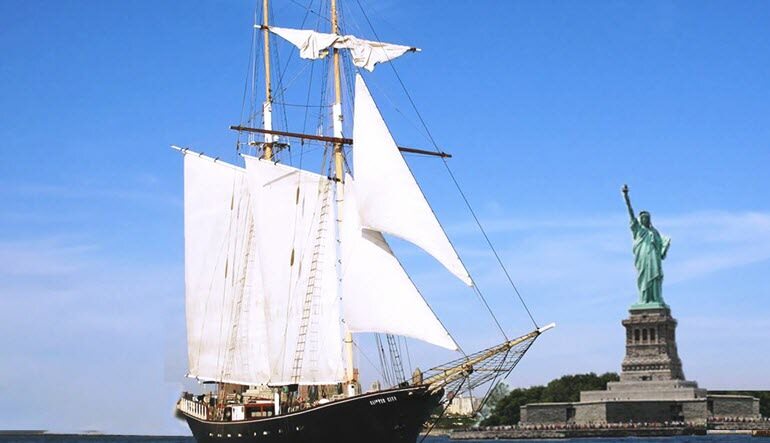 Discover the sights of NYC on its largest tall ship – the topsail schooner Clipper City! 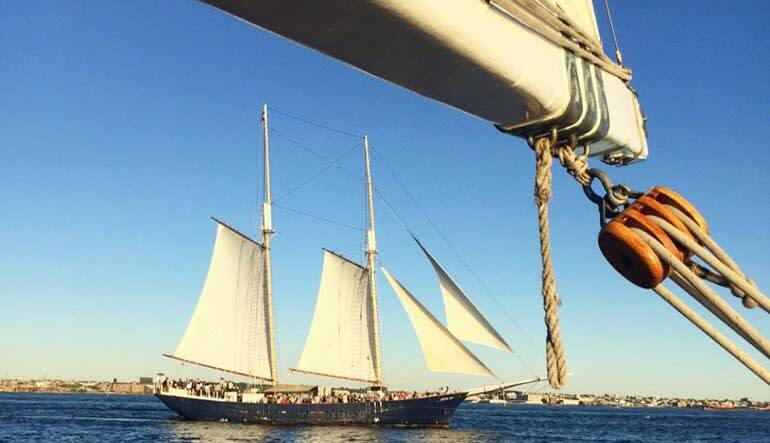 An imposing 158-ft. long, with masts and rigging reaching up 120 feet from the water, New York’s largest and most impressive sailing vessel can accommodate up to 150 passengers. Clipper City was built in the 1980s with plans purchased from the Smithsonian. You’ll sail the New York City Harbor like they did over a century ago! 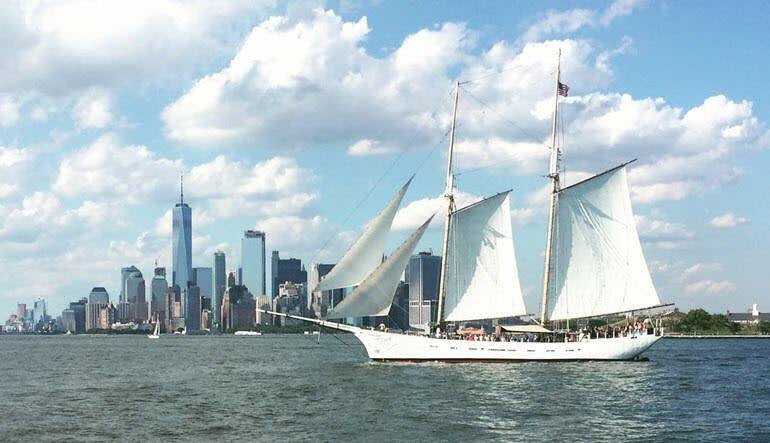 Whether you sit back, relax and enjoy a scenic sailboat cruise or help raise the sails and take a turn at the helm, this New York City Harbor experience will show you a different side of the Big Apple. We had a great time!!! Rain and all. The captain kept us out of the rain as much as possible and was almost dry by the time we got back to land.